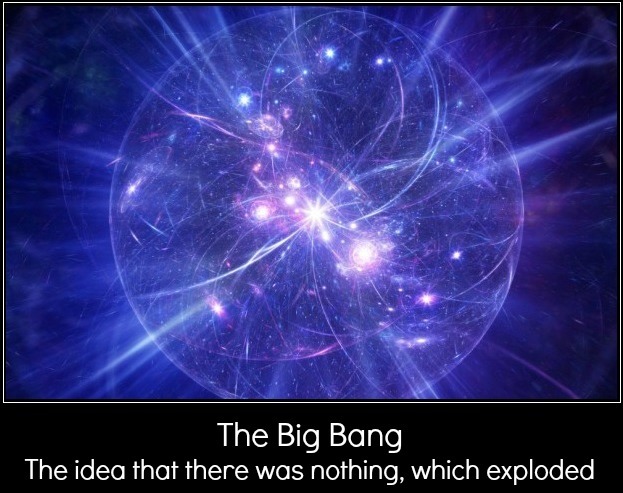 The big bang is supported by a plethora of evidence. As such, the current scientific consensus is that that universe “exploded” into existence about 13.7 billion years ago. Gravitational waves, the cosmic microwave background, and the over abundance of primordial elements all add great weight to the validity of the big bang theory. However, despite all of this evidence, scientists are still left with a nagging question: What caused the big bang? Where did all of this stuff come from? Many scientists assume that the universe came from nothing, which is an idea that can only be true in light of quantum theory. Ultimately, quantum fluctuations could allow a universe to spontaneously form from nothing. However, without a mathematical proof, the idea that the universe spontaneously popped into existence has no real substance. And therein was the problem. We didn’t have the math to support the “universe from nothing” hypothesis. This is where Dongshan He and his team from the Wuhan Institute of Physics and Mathematics (WIPM) comes in. They have managed to develop the first mathematical proof that the big bang could have been the result of quantum fluctuations. The Wheeler-Dewitt equation and the Heisenberg uncertainty principle are at the heart of this new proof. The Wheeler-Dewitt equation is the first generation of a theory of everything. In the 1960s, John Wheeler and Brice Dewitt came up with a mathematical framework that created an unholy marriage between quantum mechanics and general relativity. The equation lays a lot of the groundwork for the idea of quantum gravity (one of the main problems we have with understanding everything about everything is that we have no model to unite gravity and quantum mechanics). The equations biggest problem is that it doesn’t include time. So it’s not grand unification, but it’s the best we have right now. The WIPM team describe these bubbles of true vacuum as a perfect sphere. They use this information to figure out how fast the radius of the sphere can expand. From here, they must analyze the bubble in the three possible geometries of spacetime – open, closed, or flat. Regardless, the WIPM team found that the bubble would expand to a size that would result in a big bang. This new equation allows for some extremely interesting insights into the universe. The hypothesis explains dark energy, the energy that is causing the expansion of spacetime, as a quantity called quantum potential. Quantum potential comes out of the pilot-wave theory, which is a lesser-known interpretation of quantum mechanics (basically, a replacement or completion for quantum theory as we understand it today). Pilot-wave theory is able to reproduce all of the predictions made by current quantum theory, explains things like the Schrodinger’s cat paradox, and adds the quantity of quantum potential. The biggest problem with the pilot wave theory is it doesn’t make predictions that are unique to the theory. All of the predictions made by pilot-wave are either identical to the more widely accepted interpretation of quantum theory, or the predictions are not testable. That is, until this new derivation from WIPM was released. Pilot-wave has never taken off because it hasn’t been able to do anything that conventional quantum theory doesn’t already do. Since quantum potential is a key part of this new equation, it’s possible that scientists will reinvestigate the pilot-wave idea, and perhaps push our understanding of the universe one step further. You can see the WIPM paper on arxiv. Guess the food from the MRI.